A bizarre plague named The Lullaby has Mother Earth’s second chance, Idyll, in its deadly grasp, and it seems that the only guaranteed way to survive is permanent quarantine. Three years after their father left in search of answers, Walt and Sam finally decide that they’ve had enough of hiding and move on from the family ranch to track him down. Travelling through decimated cities forgotten by everyone but faceless monsters, the brothers take their chances on a journey with their infected mother to find a cure and reunite their family. Carefully and gradually terraformed over hundreds of years, Idyll has been shaped with the best parts of Earth in mind ready for colonisation. Rid of the unnecessary technology and life-extending pharmaceuticals we have come to rely upon, Idyll has been cultivated on the basis of earning your place, proving your worth and allowing natural selection to do her work. Beginning with the humble and tender care of earthworms and insects, generation after generation of the Starboard family has been trusted to farm creatures great and small. Now experienced ranchers, it is a large responsibility that Sam and Walt must leave behind, in the hope of a better life in the capital – Marathon. The terror of falling into an endless sleep, infecting anyone close enough to hear the endless comatose mumbling of the trigger phrase, is exceptionally psychologically haunting. Destined to waste away and doom the people you love, The Lullaby is a brilliantly crafted motivator behind the narrative and poses much more than simple mortal threats. The details of the epidemic are well thought-out and small nods to its origins and purpose are intelligently woven into the story through short interludes. The reveal is intensely satisfying with every small piece of the puzzle falling logically into place in way that makes sense while still managing to catch you by surprise. Our narrators’ opposing personalities make their interactions tense and intriguing, as while they have the same ultimate goals, Walt and Sam must juggle their differing methods and come to terms with their changing priorities. At times, Walt and Sam can be more alike than they realise, the dual narrative giving the reader an insight into how their time in quarantine has both wrenched them apart and solidified their shared morals and values. Miriam and Virginia are fiery characters who push the brothers beyond their comfort zone and give them something tangible to fight for. With a mother wasting away on Walt’s basic medical training and a father they can only dream of finding, Miriam and Virginia keep them focussed on the road ahead. The sisters struck me in particular as, while they are manipulative and brave, they are still vulnerable and scared. They are neither damsels in distress nor one dimensional strong female characters, they are an honest blend of the two, characters that science fiction and YA needs right now more than ever. From scientific discussions of the primordia teeming on the planet to the soft glow of the sister moons, it is apparent that a large amount of care and attention to detail has been paid in crafting the world of IDYLL. 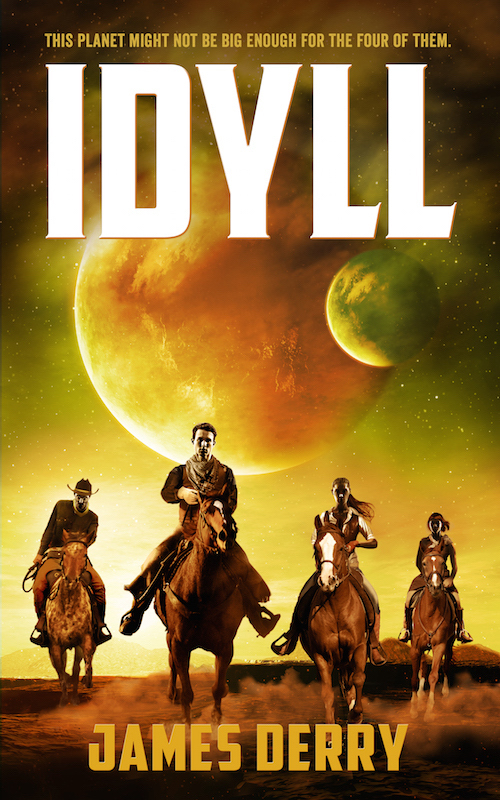 With a bittersweet ending that plays hope against despair, IDYLL is an exciting and heart-stopping race across a tragically beautiful new planet. Exploring both the physical and psychological effects of a sleeping curse-like plague, IDYLL challenges the reader to delve deeper into the story to discover what really caused the world to fall apart. I received IDYLL from James Derry in exchange for an honest review. My reviews always represent my own opinion. They arrived on an average day without warning or fanfare, the Mothership hanging over Manhattan like it belonged there. Aeroplanes dropped from the sky, tsunamis and earthquakes destroyed entire coastlines, and the Pestilence took four billion humans with it. Isolated and terrified, the survivors are ripe for hand-picking. Now they are with us, walking in our skins and killing us with our own hands. Nobody can be trusted. Cassie is on her own. She has survived the 3rd Wave and is managing to eke out on existence in the 4th. She knows the 5th Wave is coming, not when or what or how, but she knows it will come, because the Silencers won’t stop until every last human is silenced. Searching for her little brother after their separation at Camp Ashpit, she refuses to break the promise she made him. Zombie is training to become an alien-killing machine and Evan is just trying to follow his heart. One of my favourite features of THE 5TH WAVE was the way each character’s storyline began separately and eventually became woven together. Rather than chapter-by-chapter changes, their stories are told in segments, ending each time on perfect, tension-building cliffhangers. This method certainly made for a more dynamic and intricate story-telling experience. There are some truly thought-provoking and moving moments in THE 5TH WAVE, considering what it really means to be human in a world stripped back to its most basic nature. With just the right amount of humour and teenage dreams, the plot is fast-paced and full of energy. The threat of capture and death is tangible and hangs over the characters constantly, making for an exciting and powerful story. The story of Cassie and her family takes place against the classic apocalypse backdrop: not quite deserted forests, conflicted survivor camps, lonely highways and the looming watchers above.. Uncomfortably realistic and set firmly in the modern-day, the many scenes of Cassie’s travels feel like an eerie reflection of what our world could be if aliens really didn’t want us around. The few protagonists and their friends appear to be quite well-rounded and come complete with one fully realised, heartbreaking back story or another. Some characters, such as Ringer, remain charmingly enigmatic, keeping enough secrets to make her interesting. Evan in particular is complex and intriguing, with motives and a history I enjoyed puzzling out. There’s a lot of development in Zombie in particular as he learns the art of war and what it truly is to be brave, while Cassie’s evolution creeps up on her and takes her cold-hearted distrust by surprise. My only real disappointment with THE 5TH WAVE was that each character didn’t have a completely unique or distinct voice. The style in general was excellent across the board regardless of which character was in charge, but without context I found it difficult to distinguish between Cassie and Zombie. They each had subtle quirks and I especially enjoyed Cassie’s internal conversations with herself, but stylistically there was little to make each one instantly recognisable. THE 5TH WAVE has the makings to be a brilliant young adult scifi series, with THE INFINITE SEA already available and a third installment on the way. Frantic and believable, every page is completely absorbing with the perfect combination of an unearthly atmosphere and the human condition. Greg’s obsession with classmate Alice slowly spirals out of control, as he tries to understand the world of loneliness and fear surrounding him. 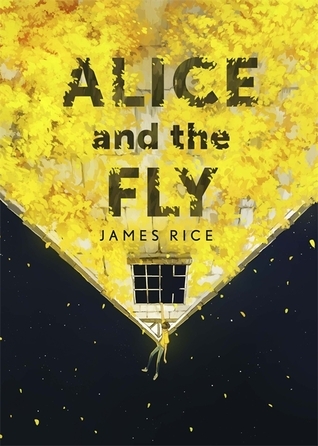 ALICE AND THE FLY is the debut novel from Waterstones bookseller, James Rice. Greg is a troubled young man, trying to make sense of the fine line between love and obsession, in a home where he’s ignored and a school where he’s shunned. Struggling with an intense and life-halting phobia of Them hasn’t made things any easier for him, labeled a ‘psycho’ and forced to act as a happy family while everyone crumbles around him. His diary, intended to help him find the words to express his innermost thoughts and fears, has slowly morphed into an open letter to Alice, the beautiful girl who smiled at him once on the bus. Reading Greg’s diary allows the reader to really get inside his head and see the world through his eyes, making building a close relationship with him extremely easy. While I sometimes didn’t agree with his personal decisions, I understood and truly sympathised with his behaviour due to this intense first-person perspective. My favourite chapters were those written in one continuous prose, no punctuation whatsoever. They were real and completely absorbing, creating such a huge sense of urgency and fear. To keep the plot pointing in the right direction, there is the occasional police interview with Greg’s friends and family interspersed with his diary entries. While these weren’t always the most informative or interesting, they acted as tiny breadcrumbs sprinkled throughout to keep the intrigue alive. There is a little mystery in this novel, but ultimately I figured out the ending long before I came to it. The story itself is very engaging, focussing on themes of loneliness in all its manifestations and how we try to hide it from the world. There is a sense of painful truthfulness in Greg’s journal that often made me feel uneasy; he has a sharp mind and a veracious voice. His perceptions of his family, Alice and himself can be difficult to swallow in their child-like honesty, but this only makes the relationship between reader and protagonist stronger. Greg is a real underdog and will quickly get any reader on his side. An obvious drawback to choosing a journal style is that we don’t have the opportunity to closely experience the other characters. However, I feel that Rice did a great job in representing each character through Greg’s astute observations and more intimately through the transcripts. While I enjoyed ALICE AND THE FLY very much, I was unhappy with the conclusions drawn about Greg towards the end. It is clear throughout that Greg is struggling with certain aspects of his mental health; he is isolated and withdrawn, has a severe phobia with compulsions and may even be experiencing hallucinations. For me, creating a character like this places the onus on the author to handle him responsibly. Towards the end, Greg is slapped with a label to explain his actions – a sweeping under the rug of his problems that absolutely does not justify or resolve anything that has happened. It feels like this label is supposed to be a eureka moment for the audience, as though we have been waiting with bated breath to finally hear his diagnosis. This conclusion not only doesn’t fit Greg’s personality and behaviour in the first place, but also serves to perpetuate a multitude of misconceptions around mental health. To jump straight to such a complex, difficult to diagnose and commonly misrepresented disorder feels irresponsible and stigmatises those who may identify with Greg. I would have given 4/5 overall if not for this, as issues such as this are too important for me not to dock a point. Generally, I would absolutely recommend this book to those who want to read something a little different. Greg is a breath of fresh air and I was privileged to hold his hand through his tragic journey. I received ALICE AND THE FLY from Hodder and Stoughton in exchange for an honest review. My reviews always represent my own opinion. ALL THE BRIGHT PLACES tells the story of love-struck Finch and Violet, as the unlikely couple meet on the edge of the school bell tower, neither certain if they really want to jump. Still grieving painfully after the tragic death of her older sister, Violet’s depression is crushing her with an iron-grip, while Finch constantly re-invents himself to find a reason to stay awake every single day. Built completely around Violet and Finch, the plot has a simple premise that allows the personality and prose to shine through. Brought together for what they expect to be a lame school project, the pair are sentenced to wander Indiana and learn what their state has to offer. As Violet slowly begins to reconcile with her loss and start to live again with Finch’s coaxing, Finch is struggling to hold it together and pulls further and further away. The parallels between their lives are both healing and heartbreaking, set against the background of Finch’s exciting and imaginative wandering sites. Violet and Finch are both wonderfully complex and well developed characters in every aspect. They feel like real people with real actions and emotions; their presence just leaps off the page. Reading their story felt like experiencing it all first hand, with a relationship so beautifully crafted it makes you ache. Both Finch and Violet have distinct voices when narrating their own chapters, and are brought to life with quirks that make them unique in personality too. There is nothing cheesy or embarrassing about their romance, just an honest telling of the lives of these fully-fleshed teenagers. While some of the other characters are little lacking in the same all-encompassing depth and emotional complexity, I really didn’t mind. This is completely Violet and Finch’s story, everyone else falling away to show how truly wrapped up in each other they become. Jennifer Niven’s style is simply stunning. Each sentence, paragraph and chapter is constructed with a purpose and reads beautifully. There’s real passion behind her story and it’s evident she has drawn on some intense personal experiences to create this level of raw energy in her writing. The sentiment behind the whole story comes from a very real place, as such, ALL THE BRIGHT PLACES handles teenage mental health in a mature and powerful way. Neither romanticising or sweeping aside Finch and Violet’s personal struggles, this novel creates an honest and sensitive space to discuss depression and grief. A difficult one to get right, Niven really nails what it is that love can do, and more importantly, what love cannot do for those with depression. There isn’t a thing about this novel that I didn’t love. ALL THE BRIGHT PLACES is believable, rich and raw and I was completely glued to it beginning to end. Finch in particular made this story for me with his vulnerability and easy charm. Simply perfect. Time is running out for Cass & the Omegas if her brother’s plans come together. Can she escape & find the rebellion before it’s too late? THE FIRE SERMON is the stunning debut novel from Francesca Haig, released in hardcover on 26th February 2015. As a Seer, visions of The Blast which reduced the world to dust haunt Cass. She wakes screaming every night, horrified by the destruction that tore The Before apart and left The After; her world. Being an Omega, these visions are just one of the many burdens she cannot escape. In The After, children are born in pairs – one perfect Alpha destined for privilege and authority, and one mutated Omega shunned from society and treated as filth. The Alphas reign supreme with the best land, cities, facilities and all the power, while the Omegas are thrown out of the community and horribly oppressed. But still, Alphas can never fully wash the taint of their poisoned siblings away. They are linked. When one twin dies, so does the other. This bright twist on a timeless tale of segregation and uprising makes THE FIRE SERMON stand out in a well-developed genre. The rules of Cass’ world are logical and binding, no exceptions. Once the Omega is discovered, the twins are ripped apart and sent to live the lives destiny prescribed them. Cass may have escaped the split for a few precious years, but once her visions were discovered there was no fighting back. The Alphas are torn between hating their siblings and wanting to protect them, and what Cass’ powerful twin, Zach, has in mind is truly horrifying. It is this unique history that makes the typical world and customs of Cass’ setting something more exciting than the expected. With sprawling countrysides and medieval citadels, the surroundings are reminiscent of classic high fantasy, but beautifully imagined. The narration is full of rich imagery and wonderfully worded language. Haig is fluent in metaphor and Cass’ frequent reflections on her past draw us in to her history and give a true insight to her character. She is often reminded of childhood stories and experiences with her twin, creating a real melanchonly undertone throughout the story. Cass is a mature and level-headed narrator, filled with a little longing and a good pinch of rebellious ideals about equality, but she always acts with a sense of purpose. She is pulled towards her goals by her visions, her moral compass and her heart. I was really impressed with how Cass was brought to life, and felt she truly embodied what it is to be a strong leader. The relationships forged throughout the novel feel genuine and personal too. Kip is so endearing with a quick humour and a hidden depth that is slowly revealed as time goes on. They seem to grow together in a natural way, and it’s such a wonderful partnership to read. Even Zach has a soft and gentle side to his hateful coldness, as we see him through Cass’ love tinted eyes. With such a diverse and interesting cast, it was really enjoyable to see each character’s personality and development throughout the novel. Zach especially has a deep and complex motivation for his actions. Story-wise, the plot and direction of the novel are really strong. I guessed a few of the twists along the way but the final chapters were a complete shock! There is a lot of tension and anticipation built throughout, so the ending worked incredibly well. The originality in Haig’s writing is fresh, so this isn’t just another tale of rebellion. 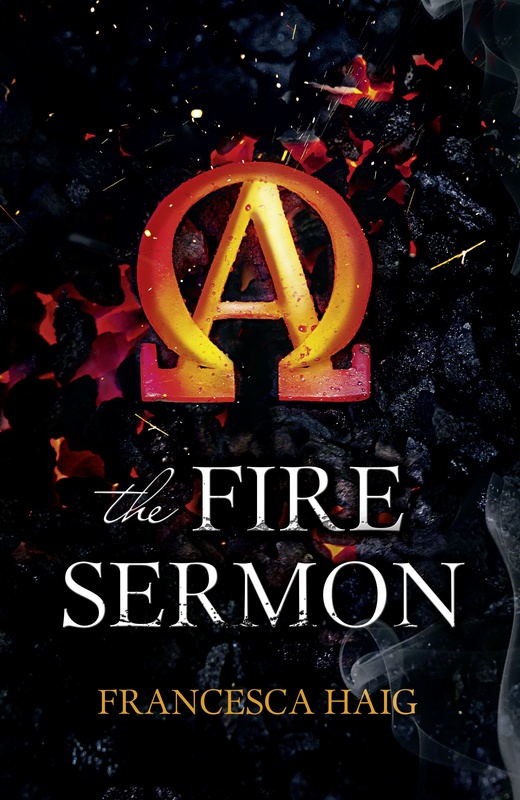 For me, the execution of THE FIRE SERMON puts it a step above a lot of books in the SF/Dystopia genre. The plot is compelling and exciting and the characters simply breathe off the page. I really fell in love with this book, and I encourage you to do the same. I received THE FIRE SERMON from HarperVoyager in exchange for an honest review. My reviews always represent my own opinion. Our narrator is Ava Lavender, daughter of heartbroken Viviane Lavender and granddaughter of mysterious Emilienne Roux. Born with an angel’s wings and locked away in her haunted home to keep from the prying eyes of the worshipping public, she recounts the lives and loves of her family over time. Beginning in France when her family first made the journey to America, by the time we catch up with Ava’s timeline she is a familiar and endearing voice. She has an omniscient presence and feels wiser than her years. Every character is full of personal quirks and intricacies, even down to minor players like Jack’s father. The Roux women, especially, are well-rounded and intriguing; I was constantly trying to figure out Emilienne. 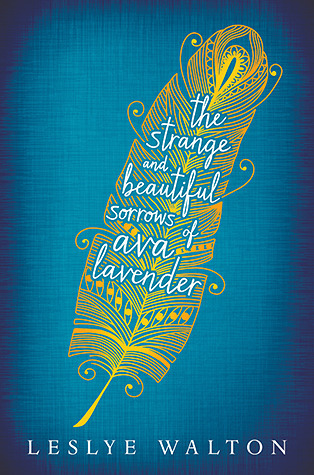 THE STRANGE AND BEAUTIFUL SORROWS OF AVA LAVENDER is a story directed by the characters and the way their lives are woven together by fate and love. There is a subtle and slow climax built for the finale after we finally meet Ava, but the majority of the book is spent leading us through the years to this exact moment in time. I loved that the novel is ultimately about Ava, but pays a lot of attention and respect to where she came from and her upbringing. The ending broke my heart then fixed it again. I could sense that something foreboding was coming, but never managed to put my finger on exactly what. This creeping build-up suits the style of the novel perfectly, for me, but if you prefer plot-driven prose then it might not be for you. AVA LAVENDER is all about the investment in the stories and emotions of the characters, and I’m just happy to have been taken along for the ride. One of the many things I loved about this book was the very realistic way Ava’s stories were brought to life. There are many fantastic and magical elements woven throughout her tales, yet every moment feels real, plausible and familiar. While the Roux women are driven with love, this is definitely no soppy romance. The stories of her family and friends are full of the same little ironies we experience on a daily basis, and every event held both the happiness and sadness, laughter and heartbreak of our weird and wonderful world. The settings were all vivid and exciting, from the tiny French apartment to the sprawling house on the hill in Seattle. Rich imagery made it easy for me to picture every detail of the rooms and streets in Ava’s world. I loved that the whole novel is set in the real world, as it revived a Harry Potter-like notion that magic and excitement is hiding right under our noses. Walton’s style is pure elegance and every sentence is beautifully phrased to create a little extra magic. Finding just one quote for this review was a difficult task, as every word, paragraph and chapter flows seamlessly into the next. She truly is a fantastic writer, and really brought the characters and plot to life in the most enchanting way. I couldn’t recommend this book enough, especially to fans of young adult, fantasy or a little bit of whimsy. Walton’s writing is magical, and I can’t wait to read more from her!